Archived Content How Historic Was Aaron Rodgers’ 2011 Campaign? Everyone wants to get Rodgers this season because his 2011 campaign was so spectacular. But we can’t look at Aaron Rodgers’ season last year and simply conclude that it was far and away the best we’d ever seen. Yes, he scored the most points ever from a fantasy quarterback, but that’s all relative. I’ve been preaching this for a while now. 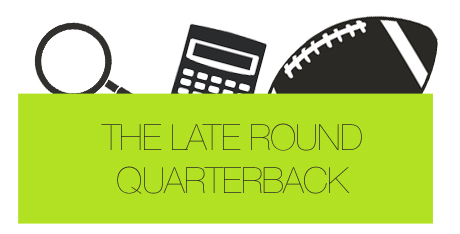 It isn’t as if the elite quarterbacks are the only ones moving towards this “new NFL”. The mediocre players are throwing at higher rates as well. I mean, the 10th ranked quarterback in 2011, Mark Sanchez, scored 253 fantasy points. In 2005, that would’ve ranked 3rd. Could you imagine if we considered Mark Sanchez’s season as the third best in fantasy football last year? In order to see just how good Rodgers’ season was, I took a look at numbers dating back to 1980. I then found the difference between the best quarterback and 10th ranked quarterback from each season. Remember, in a 10-team league, the 10th best quarterback would be the worst starter in that league. Therefore, the difference between this player and the top quarterback would be the biggest advantage a team would obtain at quarterback. As you can see, out of the 31 seasons (1983 not analyzed due to the shortened schedule), Aaron Rodgers’ season ranked 4th most impressive. This proves to be another example as to why I’m still not drafting a quarterback early. Even though Rodgers’ fantasy season was incredible last year – we’ve seen better. Randall Cunningham’s 1990 season, where he rushed for nearly 1,000 yards and threw for 30 touchdowns, ranks as the most impressive fantasy season by a quarterback. Steve Young was close in 1998, Peyton Manning’s rookie season, and Dan Marino was as well during his 48-touchdown 1984 season. The main point we should take away from 2011 was not the fact that Aaron Rodgers had the highest scoring season by a fantasy quarterback…ever. It’s that Aaron Rodgers’ is not the best, historically, when compared to his peers. 2011 wasn’t a year for Aaron Rodgers. It was a year for the entire quarterback position. It was the first time we had seen four quarterbacks outscore the worst starter by more than 100 points. Prior to this, we’d never even seen more than two. So do we call this a trend after it’s happened once, or just an occurrence? Does it really matter? I mean, after all, if you’re going to try to get one of the elite quarterbacks in a 10-team league, you’re essentially trying to get just the 4th best starter out of only 10. Should we give up a first or second rounder for the 60th percentile?